Kingsley George Band Melbourne can be hired as solo, duo, trio, or a four piece band. Very dedicated and professional with an extensive repertoire consisting of the 60's to current hits. 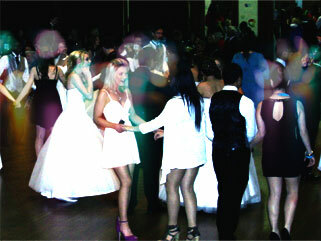 Entertainment that adds that magical touch to your wedding or private function. Kingsley George Band will ensure from the time of your enquiry to learning your wedding bridal waltz, we will provide a professional and friendly approach. 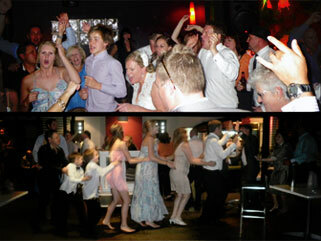 Melbourne musical entertainment to suit your budget. Give us a call for your 21st, 40th, 50th, 60th. We cater for all styles. Kingsley George Band will entertain you and all your guests for a very competitive price. Kingsley George Band Melbourne Wedding Music band with a magical touch for your wedding, school formal, birthday party or corporate event? KGB Melbourne Band can be hired as solo, duo, trio, or a four piece band. Very dedicated and professional with an extensive repertoire consisting of the 60′s to current including Classic Ballads, Dance, R’n'B, Rock, Latin and latest Pop music. Also convert into Italian, French, Mauritian & Spanish Bands. Check out our sounds: Bruno Mars, Michael Jackson and Jason Mraz. Kingsley George Band is classified in Melbourne Bands as: Wedding Bands, Jazz Bands, Funk Bands, Latin Bands, Top 40 Bands, Cover Bands, Tribute Bands, Corporate Bands etc. Kingsley George Band Melbourne have been performing the entertainment circuit for many years and have performed at many corporate events, private parties and weddings across Australia and abroad. They have brought their show to wedding venues such as The Langham Hotel, Melbourne Town Hall and The convent in Daylesford in Melbourne Metro and Country. KGB regularly work for Melbourne music agents, at several Melbourne Venues. 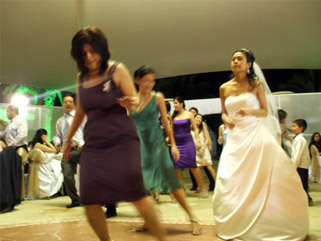 They are undoubtedly one of the top choices for Melbourne wedding bands, as they are guaranteed to make your wedding reception a lively and unforgettable event, from start to finish. As one of the finest Melbourne local Bands, wedding entertainment, private parties & other corporate functions in several venues, with a repertoire of over 200 songs including popular music from every year from 1960 up to the present day, we know we have something to please everyone. Kingsley George Band Melbourne will supply Melbourne Wedding Entertainment for your wedding receptions, corporate events and private functions. We service all areas: from Geelong to Mornington Peninsula and up to Shepparton. Melbourne Metro and country. KGB Melbourne Band also perform at 18th, 21st, 40th, 50th and 60th birthdays…their music suits all ages, which is why they receive many bookings for these type of parties as well as corporate functions. This Melbourne wedding cover band has had many repeat bookings with recommendations from clients who have either booked them before or whom have attended previous gigs. Entertainment on Sunday 10th of July 2015, for lunch and dance at Strathmore Bowling Club. Great Christmas Day with a lot of amazing people. A day full of mix old and new music and celebrations. Testimonials available.